Stress often occurs with no signs and symptoms, but that does not mean it does not exist. It is very important to be careful because many diseases originate from stress. Also, it is important to pay attention to minor symptoms because psychosomatic illnesses are sometimes very hard to diagnose. As a psychologist and therapist, I often try to reduce my stress because every day I see clients that suffer from psychosomatic illnesses. But I noticed that very often people don’t even know that they are under a lot of stress, either chronic or acute and they don’t realize that a lot of their psychical problems are stress related. This is why I wanted to write about stress symptoms because I have to admit that sometimes even I forget to check. I fell in love with psychology with psychosomatic illnesses. My mother gave me a book from Louise Hay about psychosomatic illnesses and how to heal with affirmations. After learning how can stress destroy our bodies I always want to share everything I know about stress relief and healing the soul. Stress is a topic that we are constantly talking about but also a topic that is always associated with something bad. 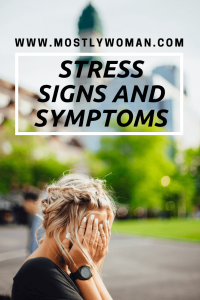 In this post, I want to say some important things about stress that is good to know, because stress is not always bad for us, but when you notice some of these symptoms then something is not right. Eustress is a beneficial stress that is indicated by hope, life satisfaction and active engagement. It is very important how an individual perceives stress, but most often, people perceive as eustress physical exercise, playing sports, horror movies, fun parks (riding a roller coaster), gambling, group playing games, but distress is the opposite of eustress. It is unpleasant and endangers the health which means the person is unable to adapt to stressors. People have different levels of tolerance to stress. Some people worship adrenaline sports such as speeding cars and rock climbing, while others feel stimulated enough by a scary movie on TV. Also, there are different types of stress as psycho-social, traumatic, acute, episodic acute and chronic stress and each of us react differently. But these are some of the most common signs and symptoms of stress. There can be cognitive symptoms, physical symptoms, emotional symptoms and behavioral. 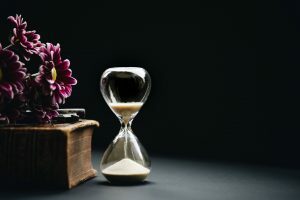 There is no universal technique for controlling stress, but there are some tips for stress relief. If you want to know more about stress and how to control it, here are some stress relief techniques for you. If you have more than 5 of these symptoms for a longer period please visit a doctor because chronic stress can be very dangerous.